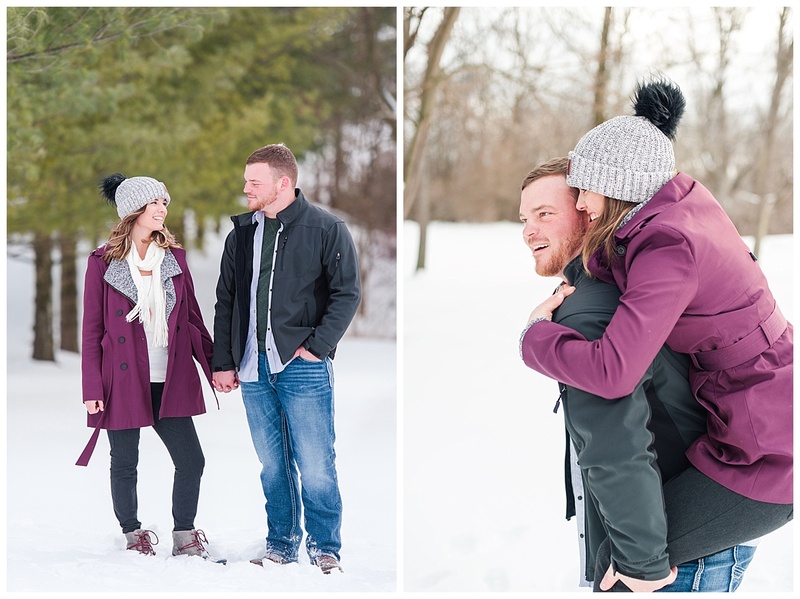 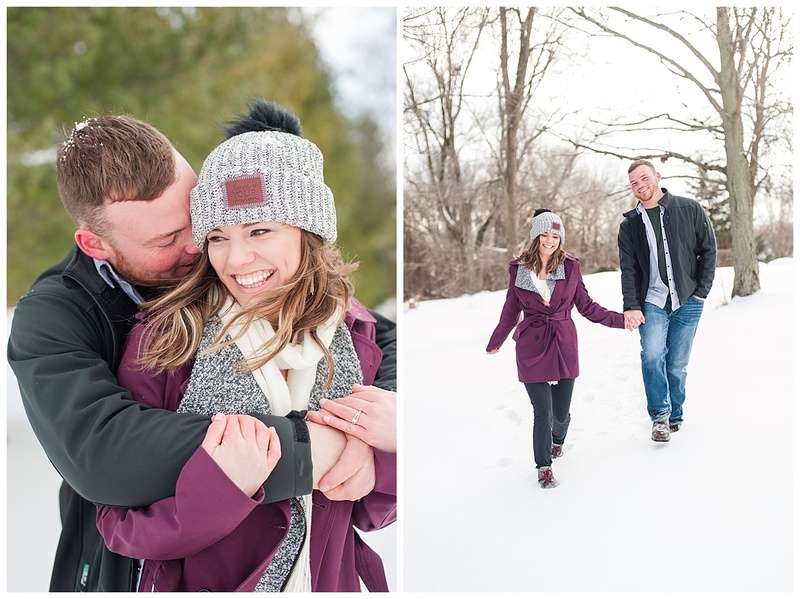 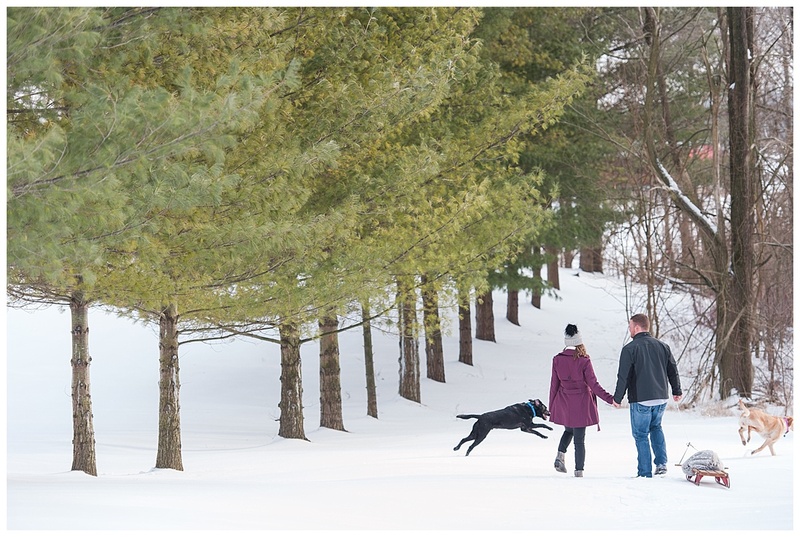 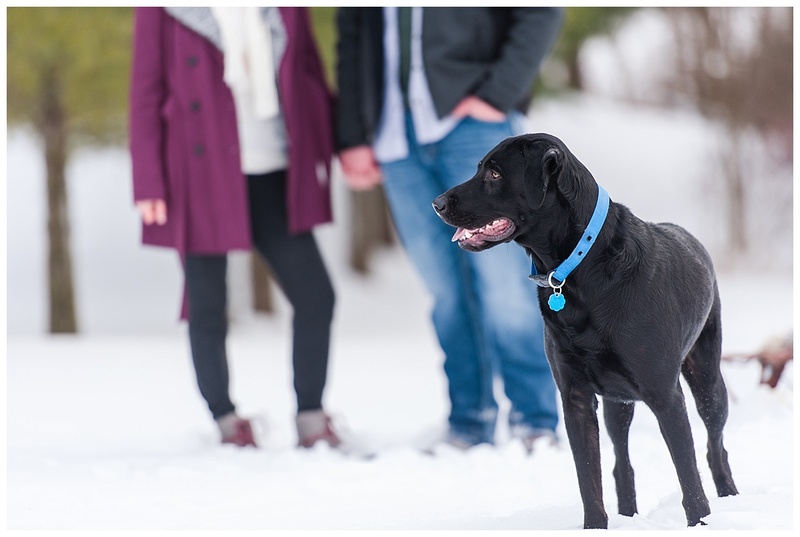 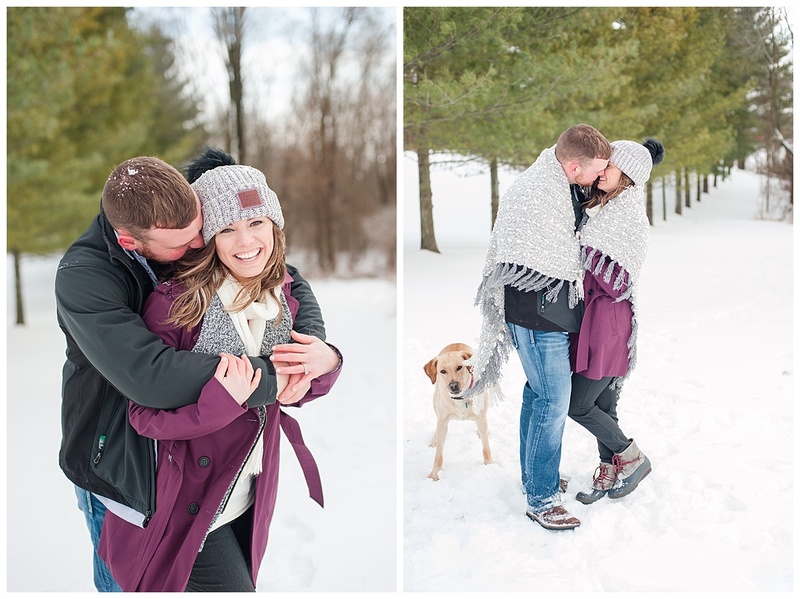 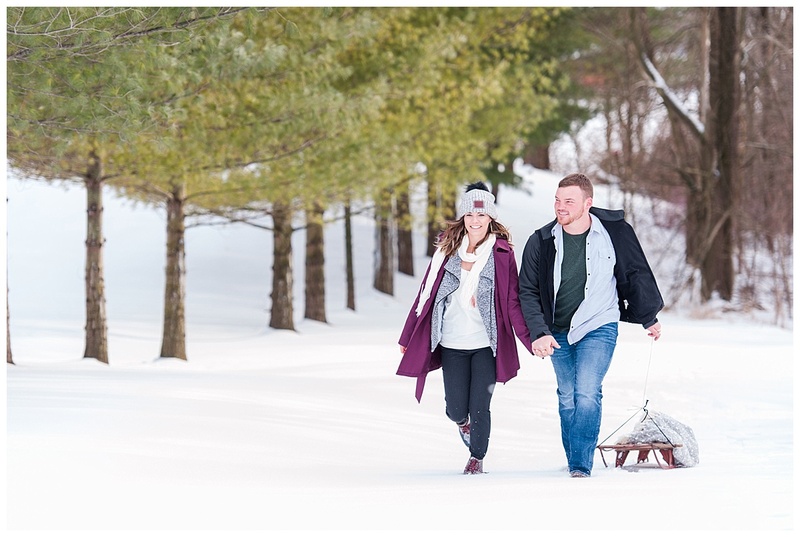 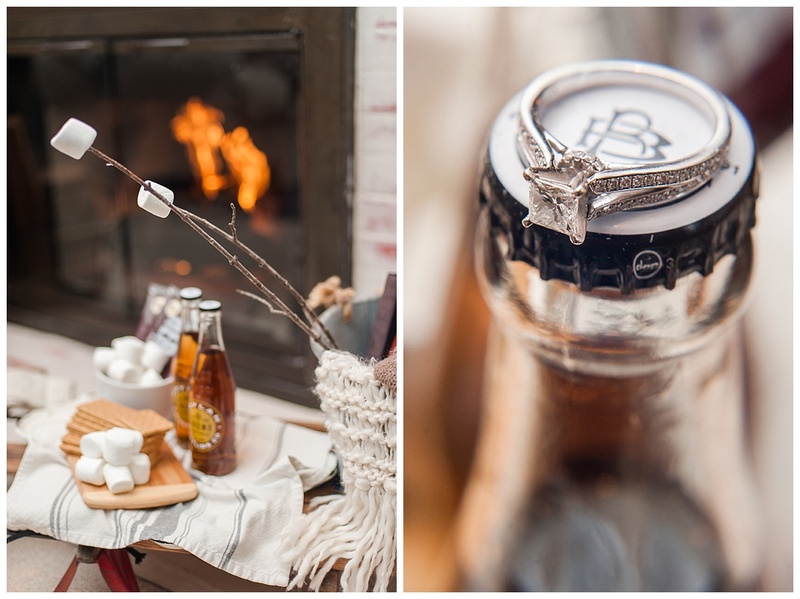 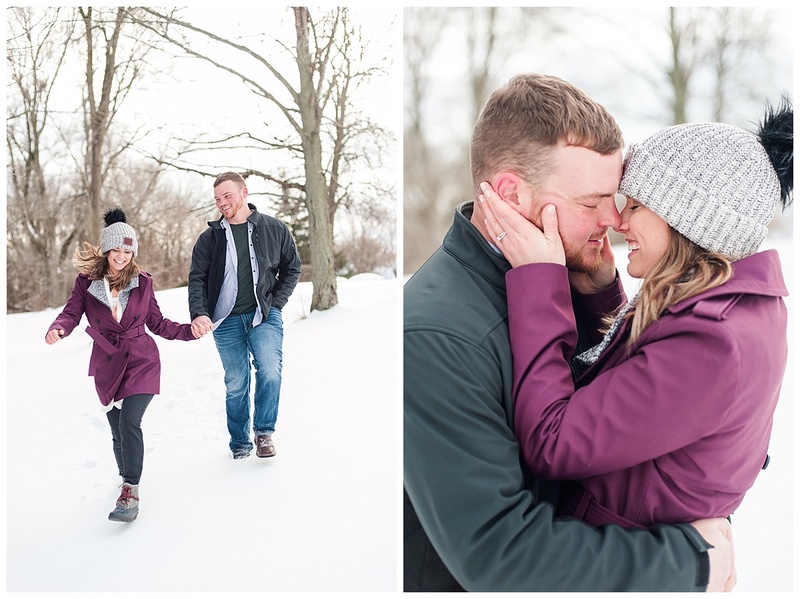 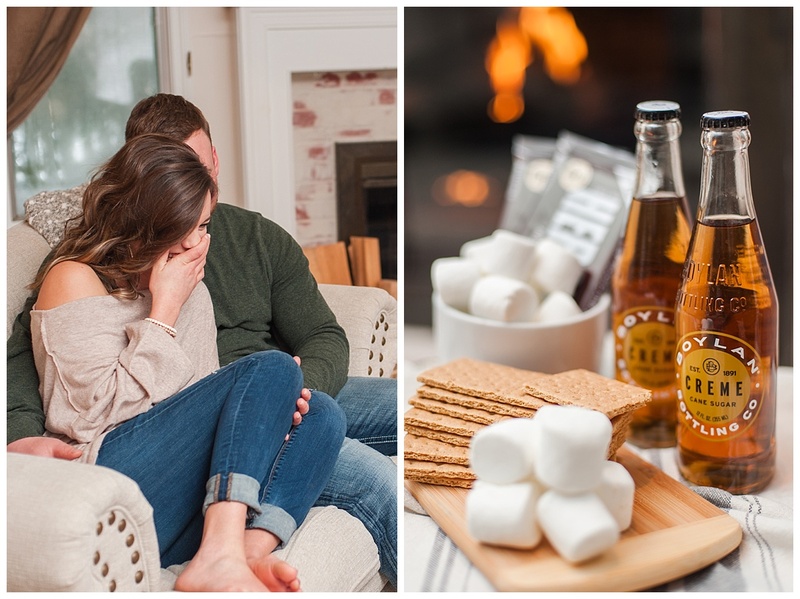 Jason & Jessica’s engagement session was full of whimsical & romantic winter fun! 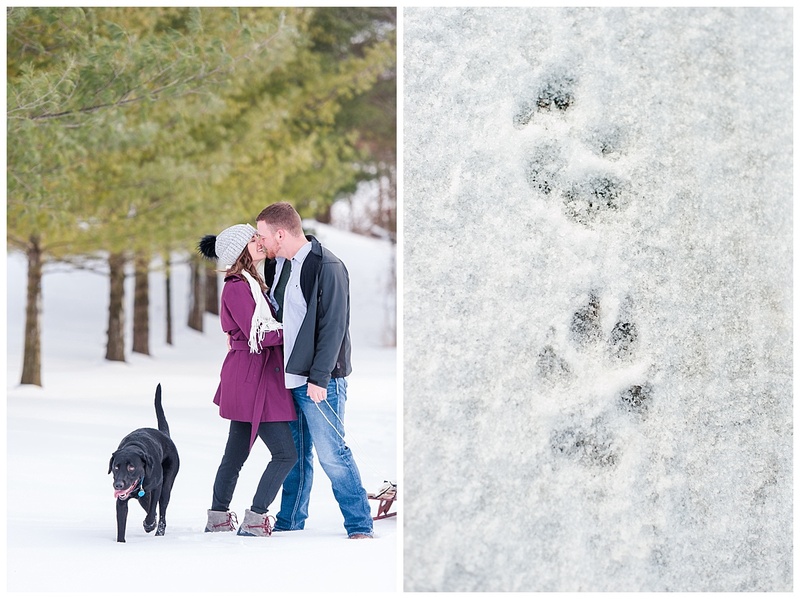 A blanket of snow, with their pups frolicking around them. 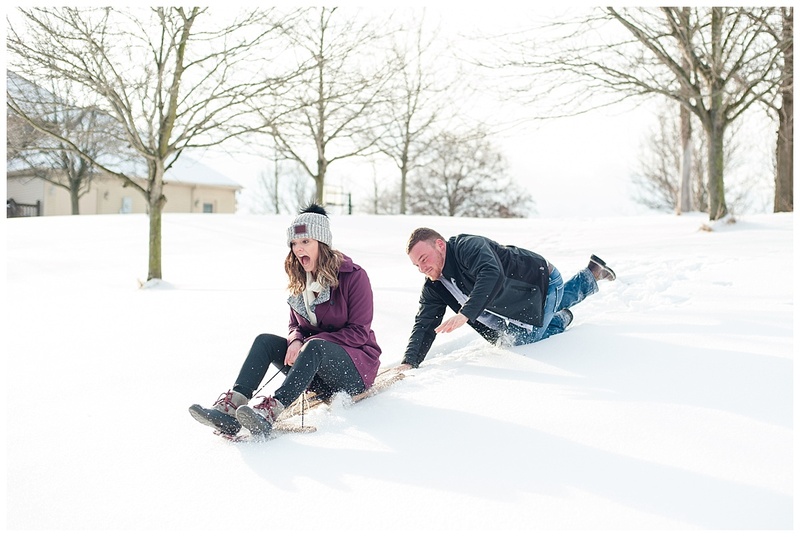 A (failed) attempt at sledding. 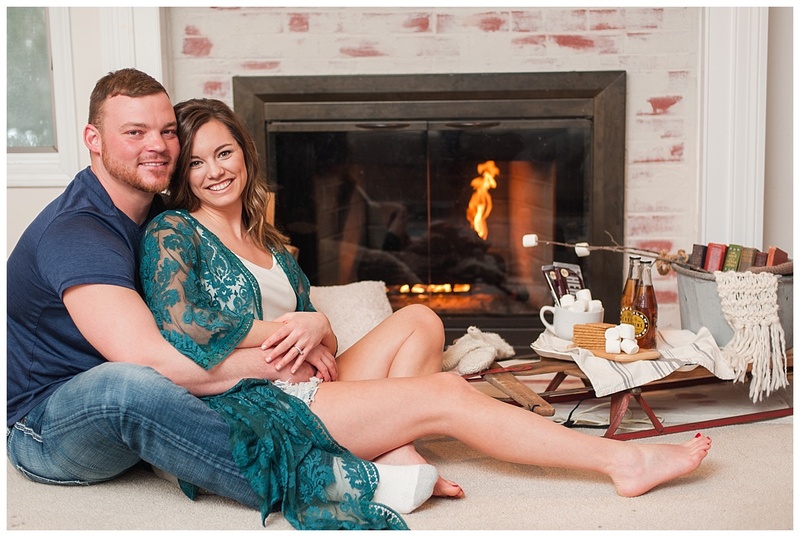 😉 Then inside by the cozy fire. 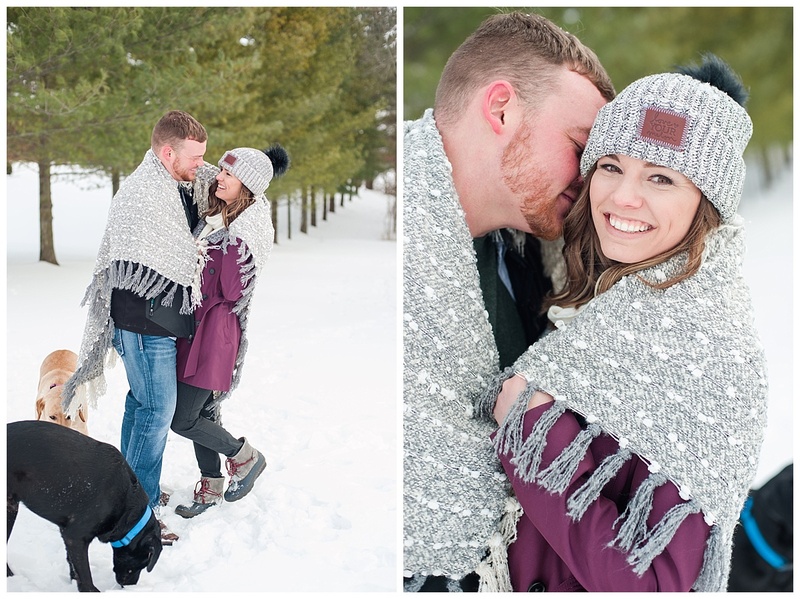 I love all the sweet, candid moments from this session!! 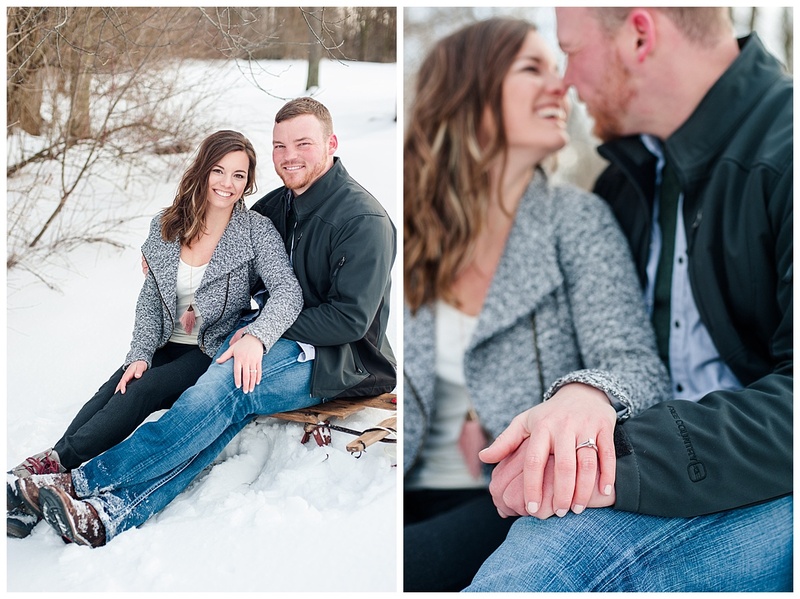 Thanks so much to the vendors that helped me bring this wintery dream to life!! 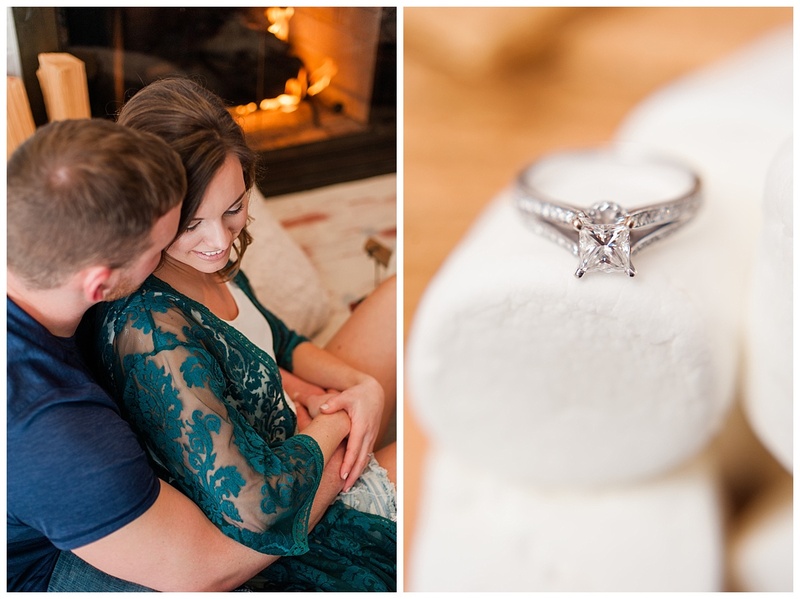 Rubies & Whimsy, in downtown Columbia City, loaned us several pieces for Jessica’s wardrobe & jewelry. 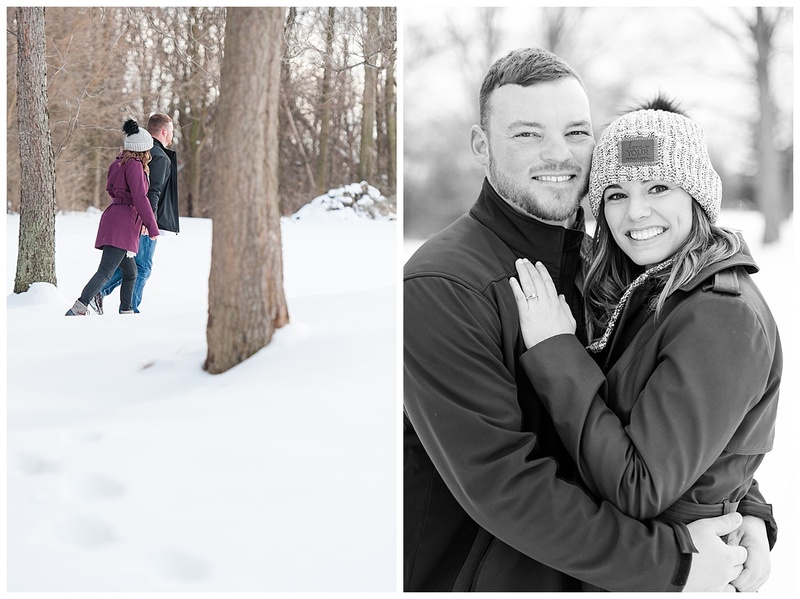 Click here to find them on facebook. 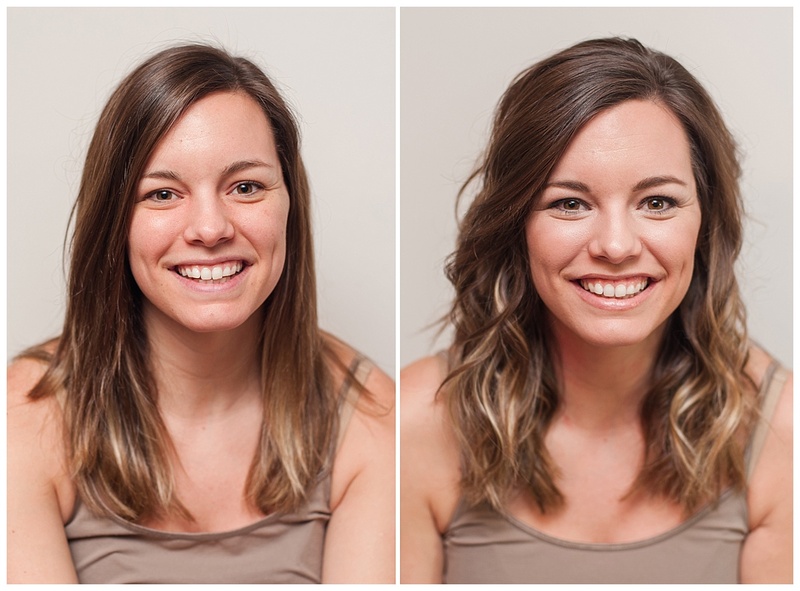 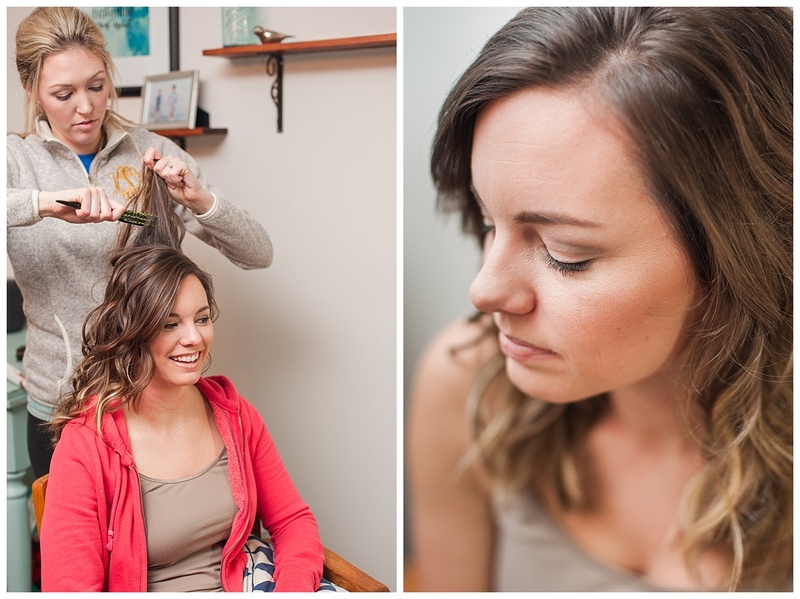 Hair and makeup by Megan Shively. 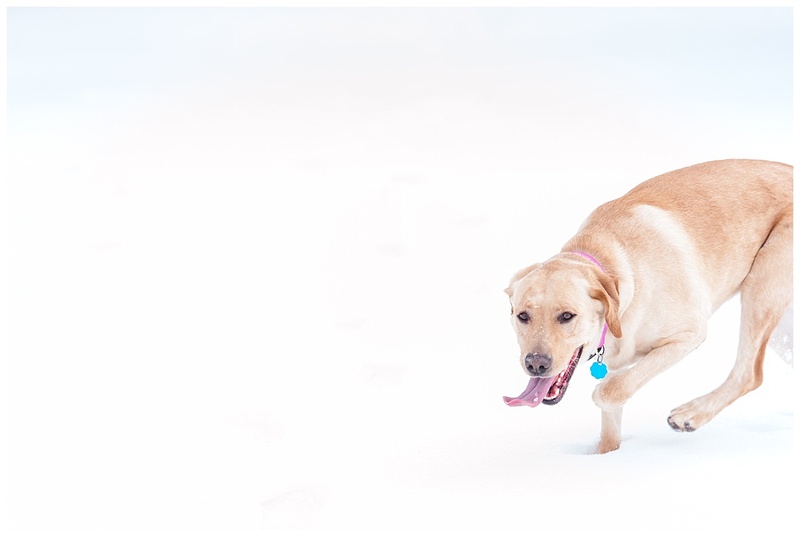 Click here to find her on facebook. 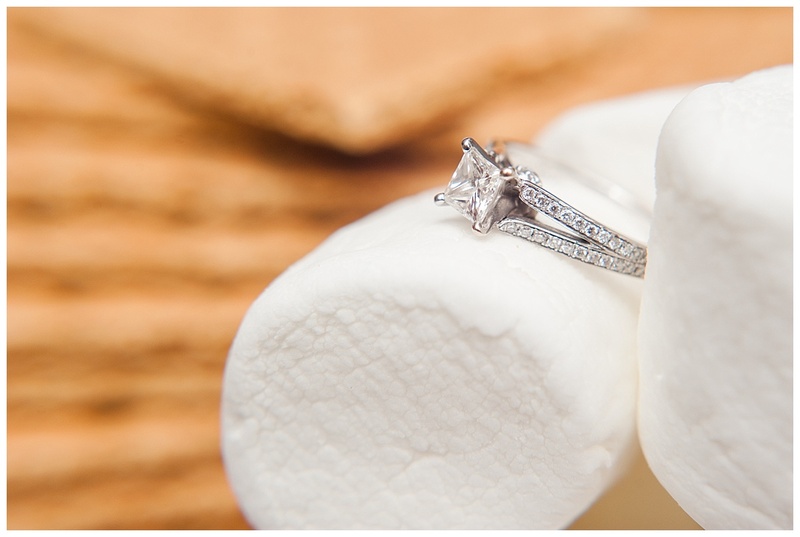 Available for weddings and special events.